Our manager decided it was time to replace our child’s easel sidewalk sign. 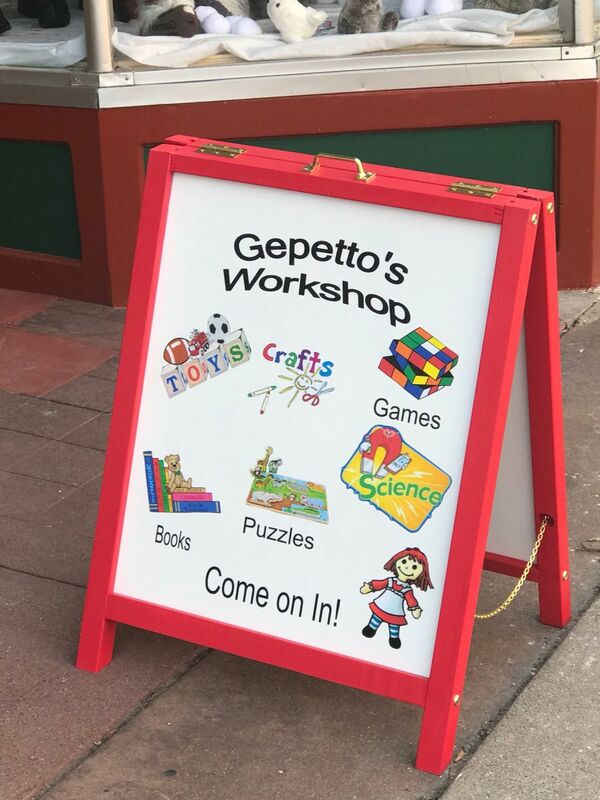 His wife made us a new one that will be even more effective at piquing pedestrians’ interest about what wonders might be inside Gepetto’s Workshop. Thank you Kathy!